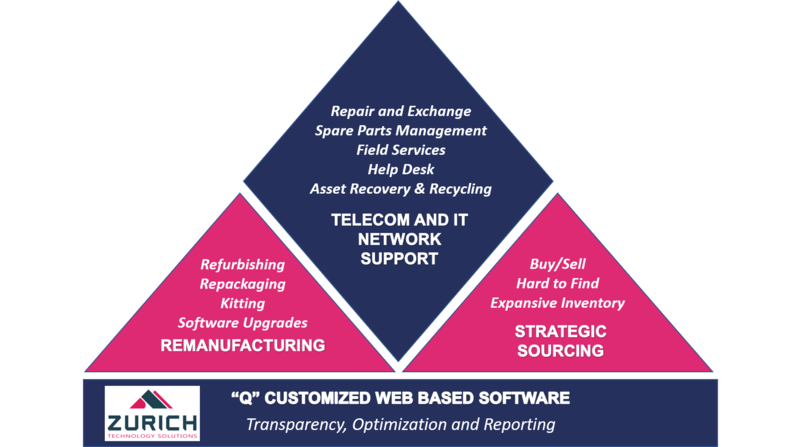 Zurich offers distinguished multi-vendor telecom and IT services at competitive prices. At the foundation of our service offering is our customized reporting and online tracking ERP system we call “Q” for its ability to offer “Q”ueing transparency and to be customized to the uni”Q”ue needs of any client requirement. Zurich services are designed to reduce both expenditures and your downtime while providing a great way to maximize your existing infrastructure investments.